There are 18 of these types of cabins on this ship. 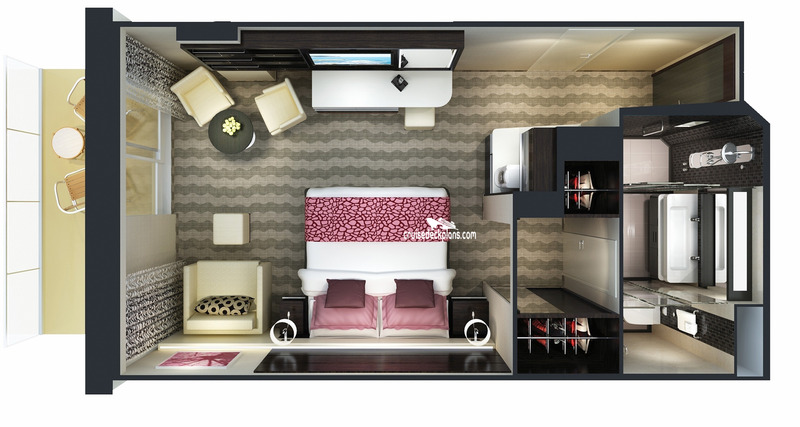 The typical cabin size is 280 sqft (26 m2). The typical balcony size is: 43 sqft (4 m2). These types of cabins can sleep up to 3 people.